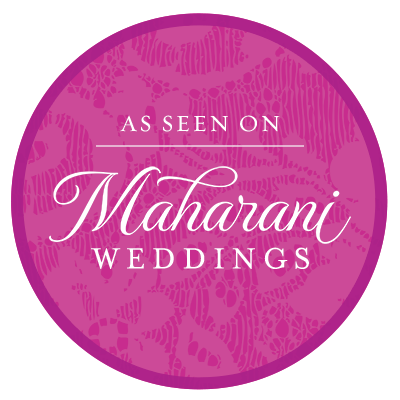 It pays in delicious details to accept an invite to Shivani and Vivek’s Indian wedding celebration at the Baltimore Marriott Waterfront, because not only did you get to witness the most breathtaking ceremony, you get a catered feast of the finest Desi fare from Moghul Caterers! That’s what partygoers at the newlyweds’ reception had to look forward to, other than some major party perfection of course. The ballroom was transformed into a wedding dream with floral and decor work by L’ambiance, and DCs Dynasty brought in the entertainment to keep folks on the dance floor. Today’s Indian bride looked sensational in her purple and gold reception lengha, and we are just smitten with the entrance she and her new hubby, Raha Vivek made! Here’s your exclusive look into all of the most unforgettable post-ceremony details from their celebration. You can catch much, much more by visiting the complete gallery!